While playing hide and seek with few mynas, this large bird flew in and perched on a perfect spot. 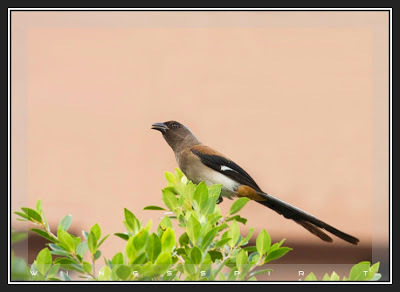 Grey Treepie ( Dendrocitta formosae), 灰樹鵲, also known as Himalayan Treepie, is omnivorous, forage insects, lizards, eggs, also eat nectar and fruit. They are arboreal and seldom come to the ground. They are not sexually dimorphic. During breeding season, both parents build nests and feed young. 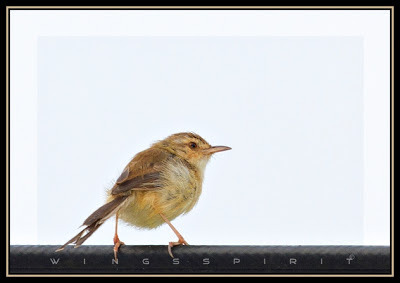 Plain Prinia (Prinia inornata), 褐頭鷦鶯, is a small warbler, breeds in India, Pakistan to southeast Asia. They prefer lowland, open ground, rice farm or grassland and they are not afraid of human. They are not good long distance flyers, often time, they will fly few meters, perch on a tree branch or wire and then fly another few meters again. I was luckily to photograph this bird under a perfect morning light and I hope you enjoy it! 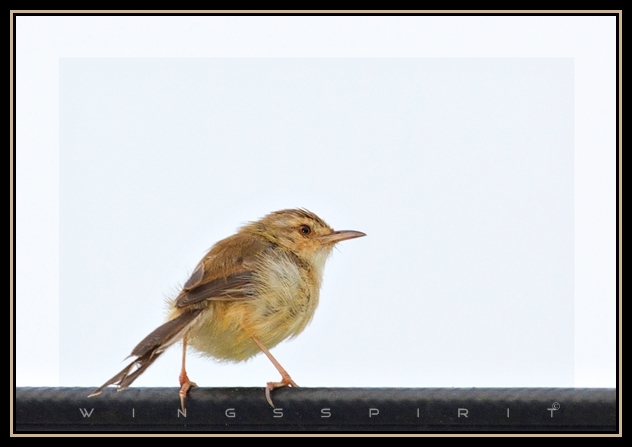 Plain Prinia (褐頭鷦鶯) has a white front and it turns to yellowish-brown in fall as seen in this image.